Today I thought I’d share a fabric flower tutorial with you all, we’ve been making these for years and they are so much fun. 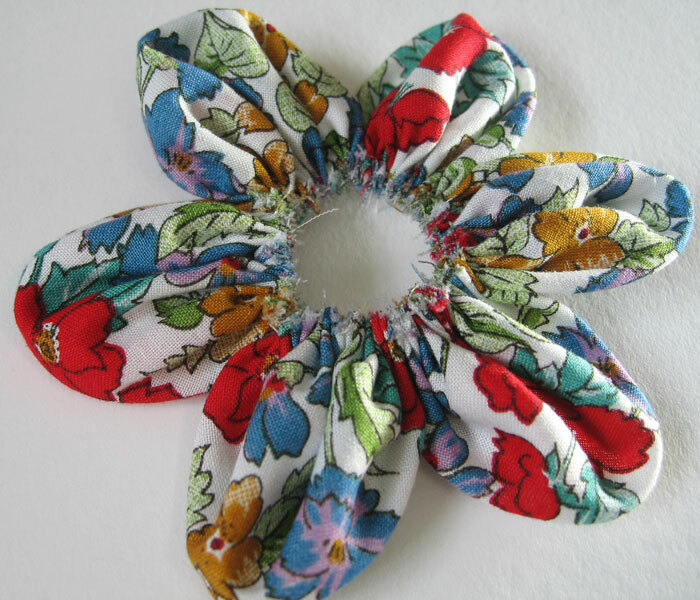 This is a really useful little technique to know as the flower can be made into a badge, sewn onto a hairband or hairclip or anything else you can think of. You can also vary the size with eaze and the end result looks very impressive. First you need to decide on the size you would like your finished flower to be. The one in the picture above is about 9cms across. 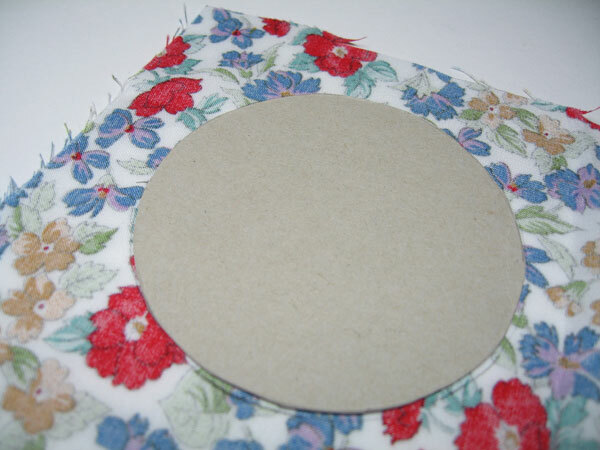 Next draw a circle onto your carboard the same size as the flower and cut out. Place your cardboard circle onto your petal fabric and draw around six times (to make six petals). Cut out the six fabric circles. Fold each circle of fabric in half, with the right side of the fabric showing. Now you need to gather the raw edges of your petals, sew small running stitches along the side. 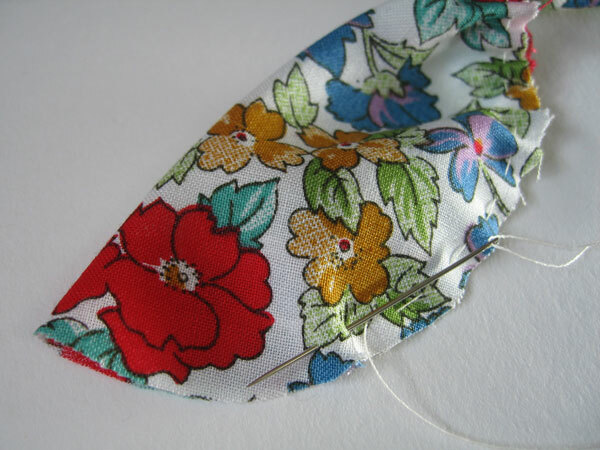 Pull the stitches to form your petal. Repeat with the other five circles using the same piece of thread going from one to the next. Join the first petal to the last and sew firmly together to form your flower. 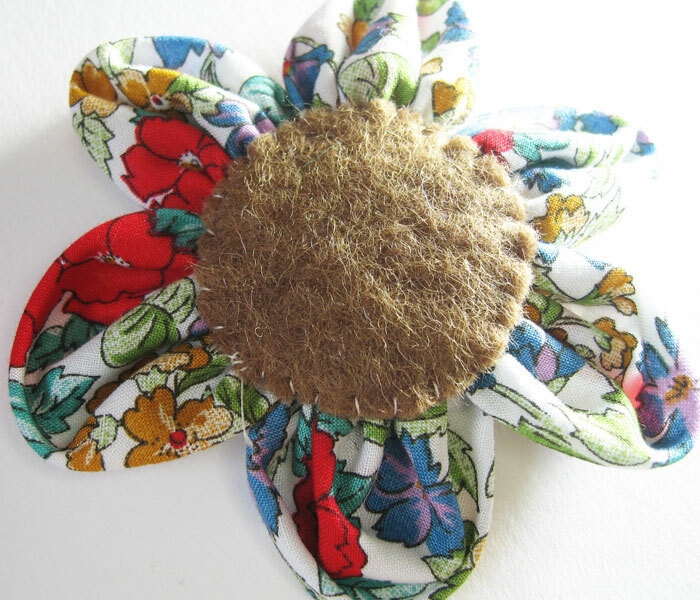 Cut a small circle from felt or a woollen material that doesn’t fray and sew onto the back of your flower. Now we need to make the centre of the flower. I chose a contrasting blue material for mine. Once again use your cardboard circle and cut out a circle from this fabric. 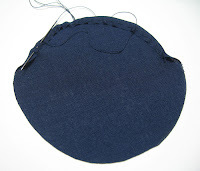 Gradually sew a running stitch round the edge of the circle turning the raw edge to the centre as you go. 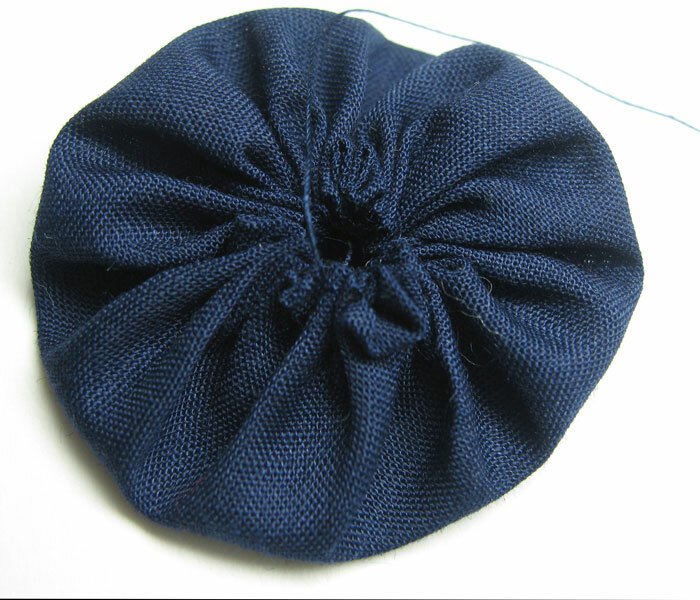 Pull your thread so that the gathers end up in the centre of the circle. 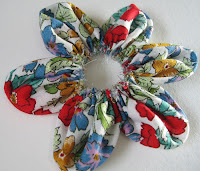 Place this circle with the gathers facing down so they can’t be seen into the centre of your flower. Next you will need a button to secure it. Sew it right into the centre to hold everything together. At this point you can add beads or whatever embellishments you fancy. 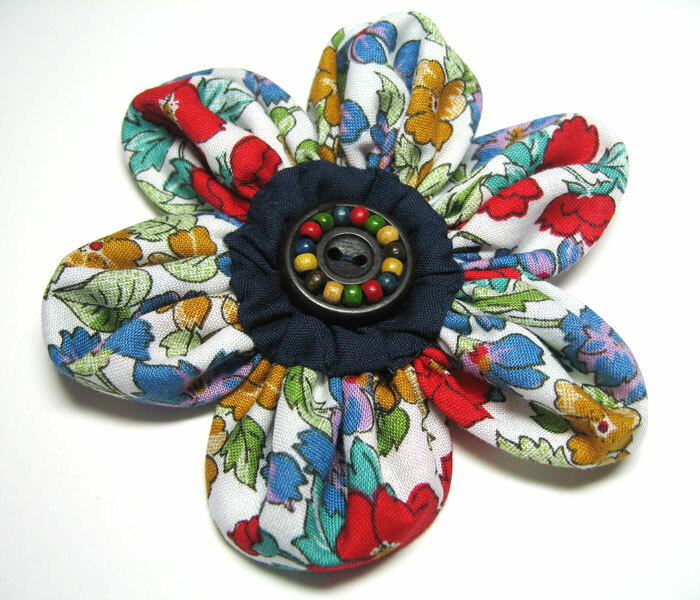 Now your flower is finished you can sew a brooch back onto the back if you like, or add it to a fabric hairband or hairclip. 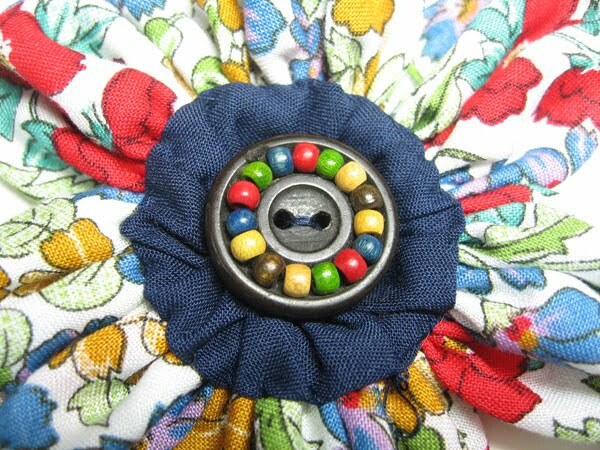 I think I may add one onto a bag I’m sewing, really the ideas are limitless. Have fun! This entry was posted in Tutorials and tagged craft, fabric, flowers, sewing, tutorial, uttons. Bookmark the permalink. adorable. thanks for the how-to! That is really cute! Thanks for posting!! Absolutely wonderful. I will add this to my list of crafty things to do. 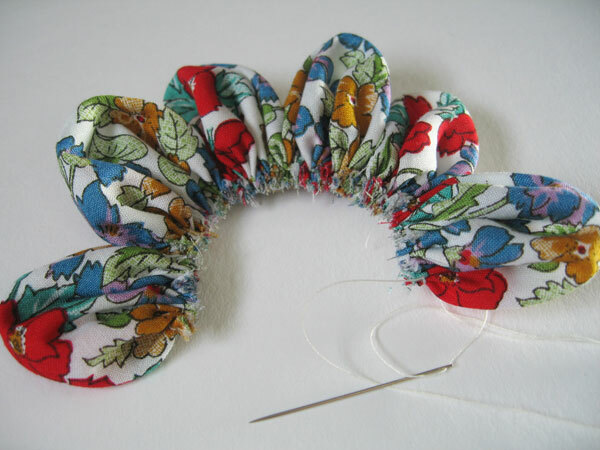 They really are great fun, and you can use any fabric you fancy. I used a blue and ivory silk one on a bag last night and it looked great, made an otherwise dull bag look fabulous. 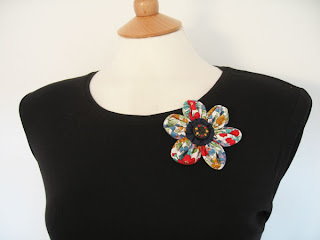 I was JUST thinking about finding a tutorial for a fabric flower – wonderful! I think they would be adorable on hair clips. 🙂 Thanks so much for sharing, and I'm a new follower!